This privacy notice explains how JM Hairdressing looks after personal information you give us or that we learn by having you as a client and the choices you make about marketing communications you agree we may send you. This notice explains how we do this and tells you about your privacy rights and how the law protects you. The information you give us may include your name, address, email address, phone number, age range & relevant history which may suggest that a service or treatment should not go ahead or certain products should not be used (eg allergies, pregnancy, skin conditions), payment and transaction information, IP address and CVs. We will email you occasionally, with offers or promotions, a reminder if you have not visited for a few months or if we are requesting your feedback, promoting our services to you, or to send you occasional news or greetings. Our marketing campaigns are automated and use rules which are based on services and products you may have had and information we collect from you. We very occasionally email e-newsletters to inform you about products, services and treatments provided by our salon. You have the opportunity to unsubscribe from e-newsletters at any time. You have the right at any time to stop us from contacting you for marketing purposes. If you no longer wish to be contacted for marketing purposes, please contact Jackie Mathis the Salon Owner on 01474 534455 or email jmhairdressing@btconnect.com. Unless you request otherwise, we will keep your information no more than a maximum of 2 years from your last visit to the salon. After 2 years we will archive all your personal information, except for your name, relevant client history (eg allergy test records which we keep for 4 years) and financial transactions (which we are obliged to keep for 6 years). 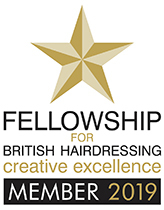 If you would like a copy of some or all of your personal information, please contact Jackie Mathis the Salon Owner on 01474 534455 or email jmhairdressing@btconnect.com. You have the right to ask us or to object to our use of your personal information, or to ask us to delete, remove or stop using your personal information if there is no need for us to keep it.